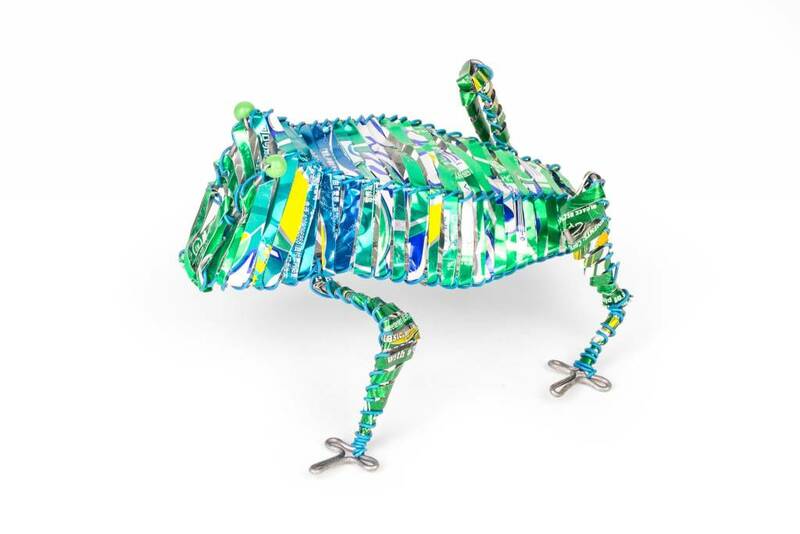 This Can*imal Frog is handmade in Kenya from recycled aluminum cans and bound with telephone wire. Measures approximately 6 x 8 inches. Colors will vary.